On Saturday, 1/31, 254A, 254B, 254C, 254E, 254F, and 254G competed at Merrill F. West High School at the Tracy NorCal VEX Skyrise Tournament. 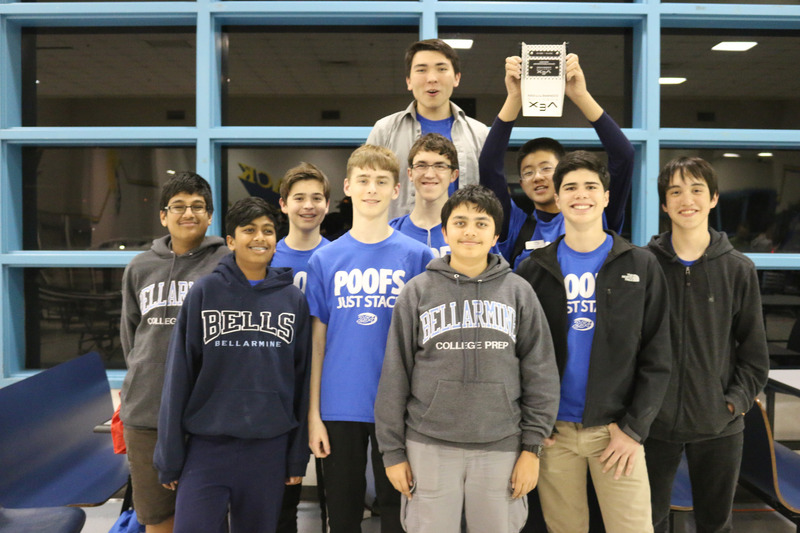 5 of our 6 VEX teams at Tracy reached the elimination rounds, a strong showing from the Cheesy Poofs! 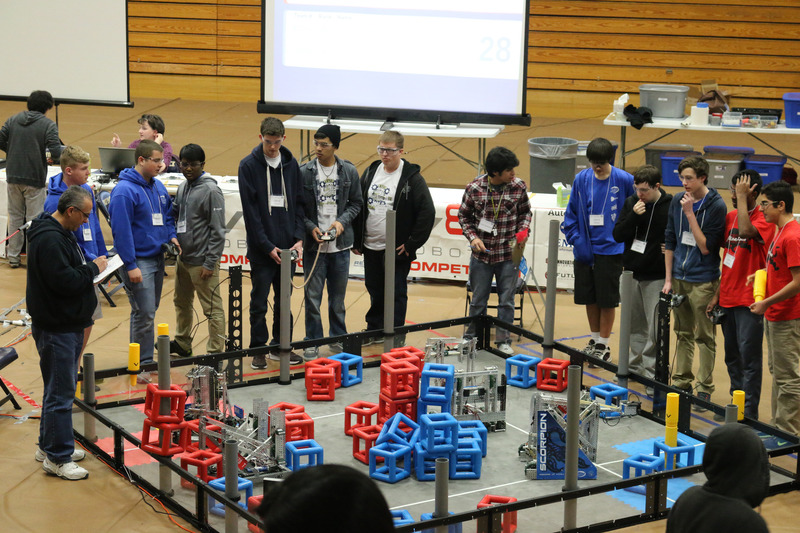 254B and 254F joined 824B during the elimination rounds, and reached the semifinals. Team 254C joined 9378A and 9378B, and reached the quarterfinals.  Team 254E joined 5776 and 8000D, reaching the quarterfinals. 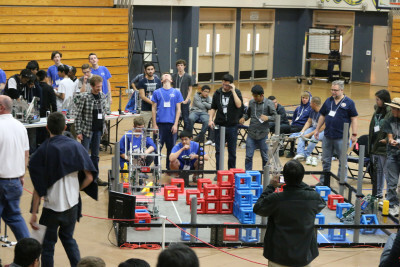 254A, using an eight-bar side-roller robot design, reached the finals alongside 5369 (the Duckies) and 5327C (Gael Force) as part of the first-seed alliance. 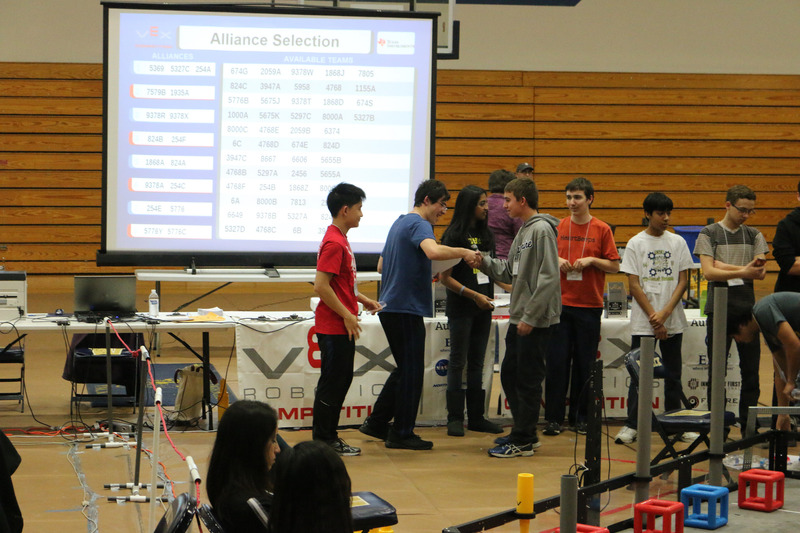 Unfortunately, after a long deliberation by the referees, they lost to the second seeded alliance in two matches. Congratulations to 1935A(HEART Academy San Jose), 7579B(Next Generation Science & Technology Group), and 8000B(Head-Royce School)! In addition, Team 254C won the Sportsmanship Award! 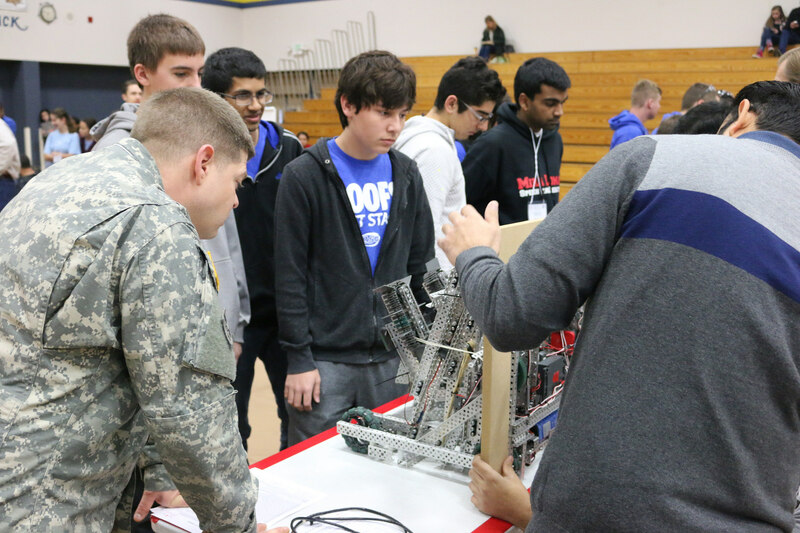 Our teams learned a lot at Tracy about potential designs and had a lot of fun, and are looking to make improvements to their robots for the NorCal State Championship, coming up at the beginning of March!